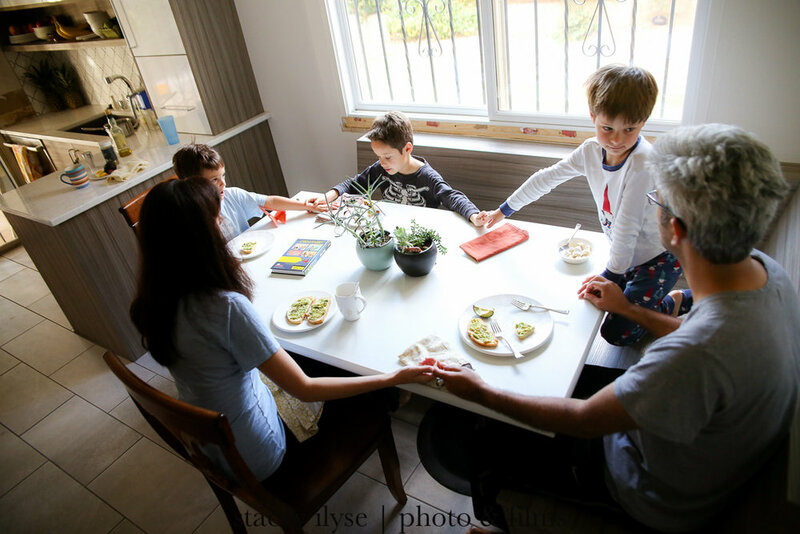 I’ve been photographing real families in their homes for almost two years now, and photographing my own for even longer. But last month was the first time I’ve been on the other side of the lens in this format, and I have to tell you, it was a little different than I’d expected. Logically, I knew what this was all about, inside and out. 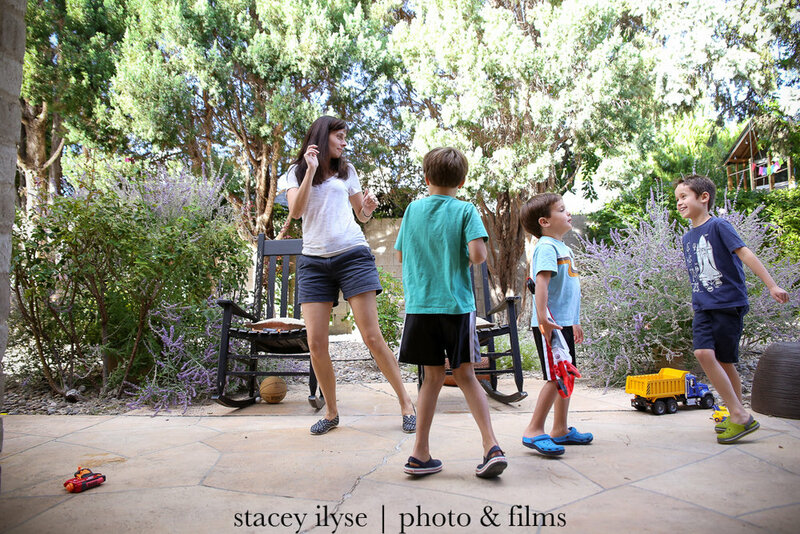 After all, that’s exactly why I hired my friend Stacey, of Stacey Ilyse Photography, to fly all the way out to Albuquerque to do a “Day in the Life” photo session for us. I knew she’d be photographing our real life, and I knew the photos would be special – if for no other reason than that I’d be in them, too! But there is something different about being the family photographed, in a documentary-style photo session. It was a learning experience I couldn’t have gained any other way, and I want to share my top 3 take-aways with you. Don’t worry about making your house spotless – your photos aren’t about that. Just wear what you’d normally wear – don’t worry about matching! Don’t worry about trying to make sure your children are perfect – let them be themselves! These photos are about your family. Your life. Just as it is. No attempts at perfection are needed. And yet… in the couple days leading up to our photo session, I found myself worrying about all those things. That stack of school work, always resting on the kitchen ledge. The toys and papers and books that spill over the entire surface area of my boys’ bedrooms. I even worried about what my children might choose to wear on photo shoot day. And I may have tried to do something about all of that. The week before our photo session was a LONG one for me. My husband had been out of town for work. It had been our youngest’s birthday. And my older boys needed extra help with studying and school projects. 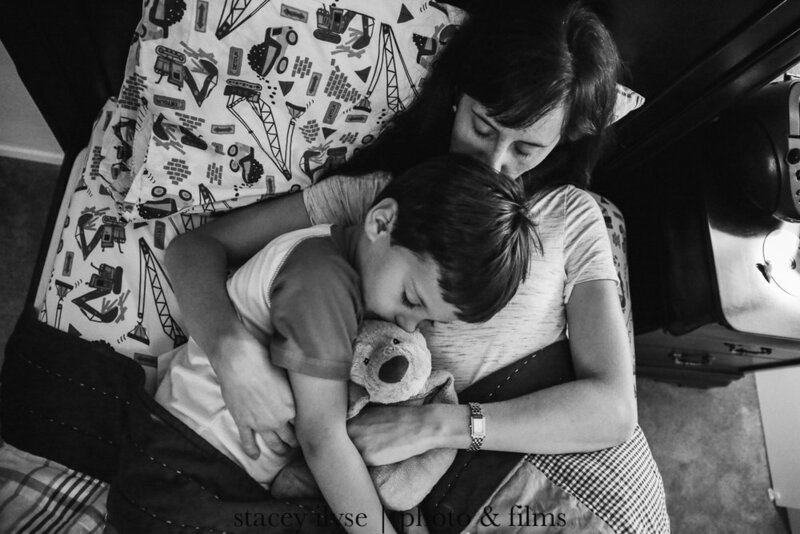 And in the end, I decided I was too tired to do anything about any of it, and let it all go - even when my oldest went to bed in jammies that were 2 inches too short, and I knew he’d be wearing them in the morning when Stacey arrived. None of those things I’d worried about mattered. Because the photos she delivered focus on us. Our connections. Our relationships. The way we stand. The way we look at each other. The way we share our lives together. Plus, those jammies are his favorite, and have been for a very long time. Now, they’ll stay around in photos. I’m a photographer. I know the light in my home. I know how I shoot it. She had her own perspectives – some of which were similar to how I would approach the scene, and others that were completely different. Letting go, enjoying being in the moment, and trusting her to work her magic was incredibly freeing. The thing is, if you’ve hired a documentary photographer based on her portfolio, you know you she can create beautiful images in a variety of settings. Don't worry about how dark your home is. Or if your children look like they're having a good time, while also being perfectly behaved. Or whether she's getting your good side. She knows how to adjust herself and her camera settings to make your home, your family, and YOU look amazing. 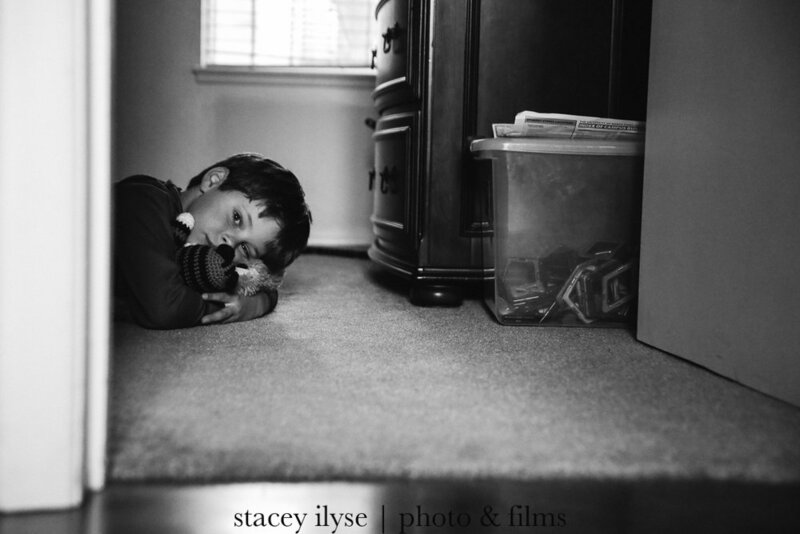 Your family documentary photographer can see the beauty, and she’ll capture it with her camera. Trust her. You know it’s going to be awesome, but the result is soooooo much better than you could have imagined. Let’s be honest here. 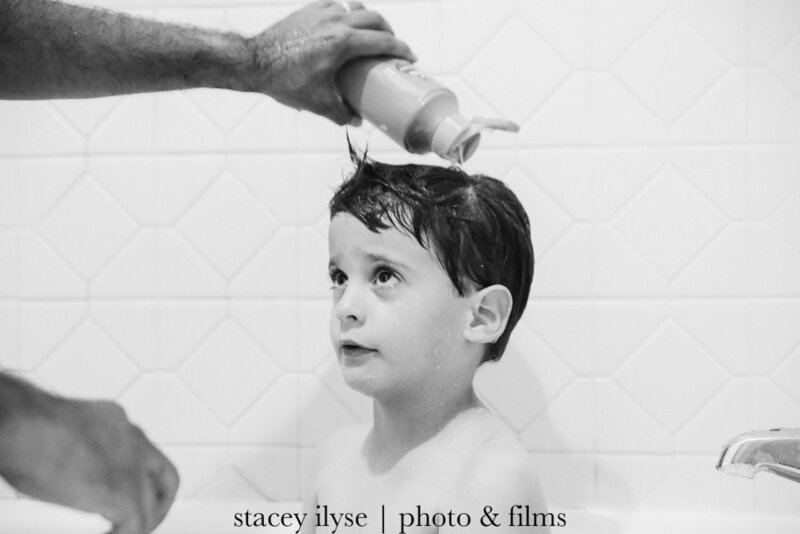 As a professional documentary family and newborn photographer, I document a lot of my own family’s life, and I’m pretty darn good at it. 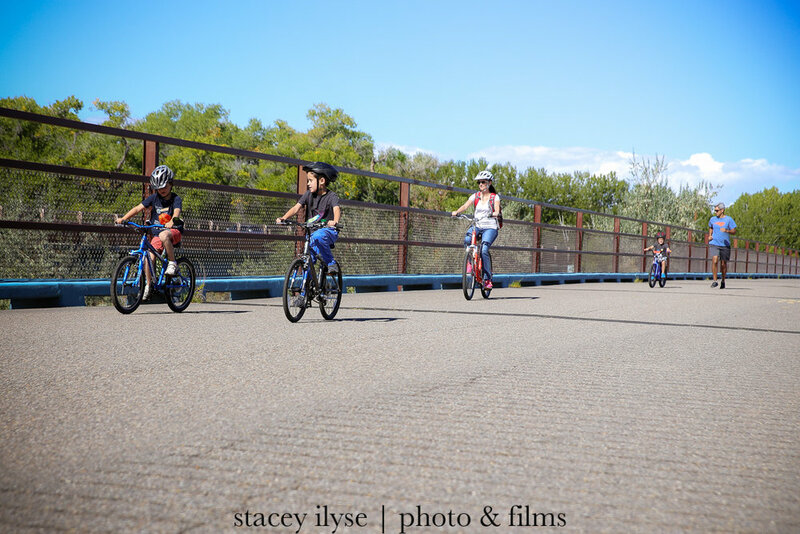 The day before I received our photos and film from Stacey, I finished putting together an incredibly sweet family film of our fishing trip in the Jemez. I love that film. And I love the photos I take of my family. There are a lot of people who would wonder why I’d even hire someone to do a “Day in the Life” documentary photo session of my family, when I can clearly do the job, myself. 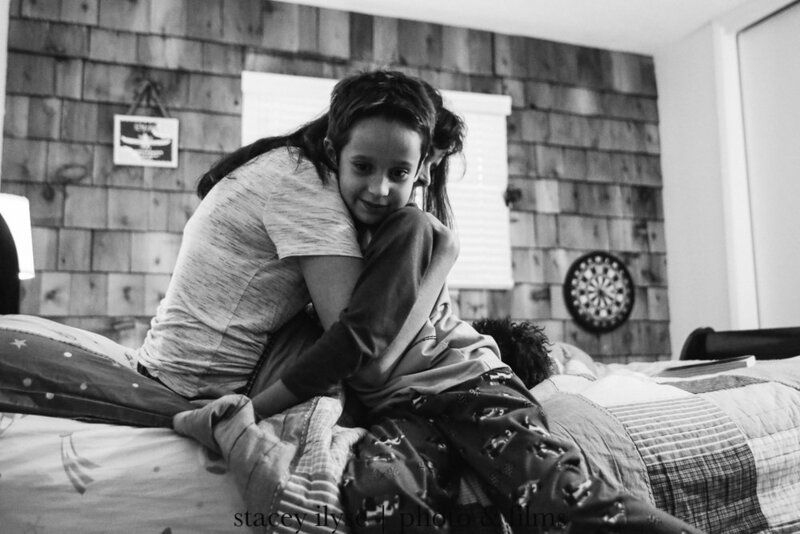 But there is something absolutely magical about seeing your family and your life through someone else’s lens. I honestly cry every time I see the film she made for us. 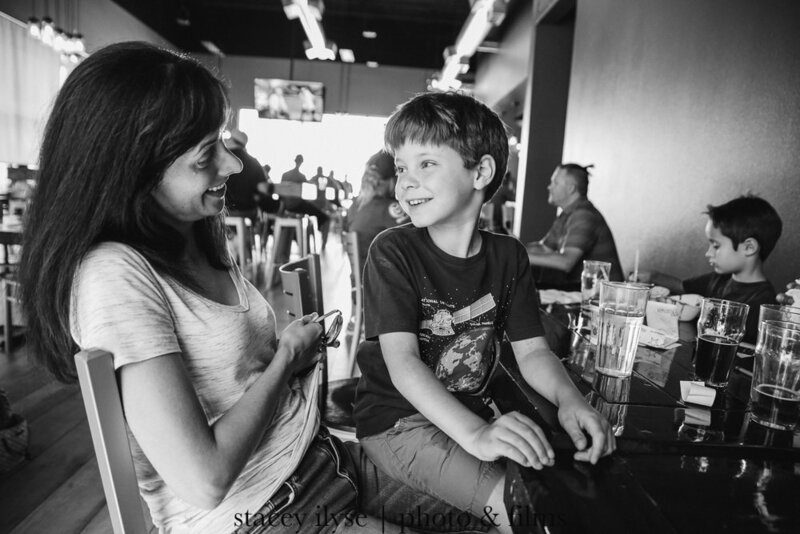 And the connection…the goofiness…the personalities…she captured in our photos take my breath away. To see yourself as a mother and to see your family together, just being yourselves, in this beautiful way, there is nothing like it. Whether you’re a photographer yourself or you’re someone who loves photos of your family, I cannot express strongly enough what an amazing experience this is. It’s one you’ll never regret. If it’s one that speaks to you, reach out to me. Let’s make it happen. 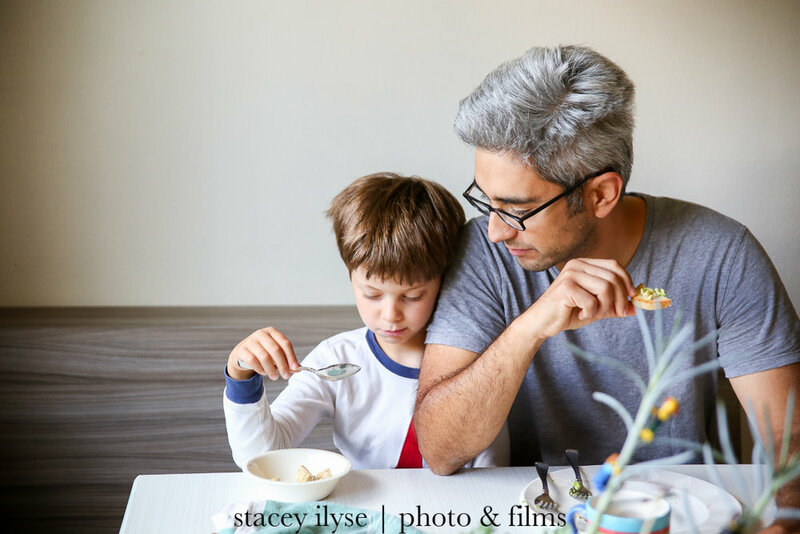 See some of my favorites from our Day in the Life photo session below, and check out our family's film HERE.